Summary: Premier Aquatic Services seeks to fill various swim-related positions in and around Orange County, CA. Qualified individuals interested in becoming life guards, swim instructors, or swim coaches are encouraged to contact the company for potential job opportunities. Aliso Viejo, United States – Premier Aquatic Services is looking to fill various job openings in and around Orange County, CA for the positions of life guard, swim instructor and swim coach. 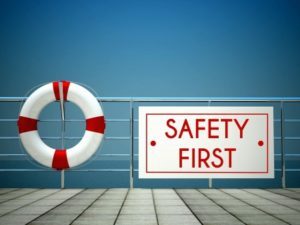 Premier is an aquatics service company (https://swimoc.com) that has a primary focus on safety in and around the water. The daily goal of their team of passionate lifeguards, swim instructors and administrators is to protect and save lives for hundreds of customers who enjoy activities ranging from child swim lessons to elderly water aerobics classes. 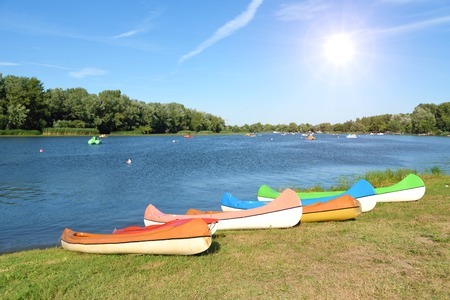 All members of the Premier Aquatics team believe in enjoying water activities in a safe and responsible environment. They provide safer fun for Orange County communities and create exceptional customer experience through innovative training methods, selective staffing and detailed programming. The company is seeking applicants who are fun, energetic, happy, and desire to land a job they love. Available aquatics jobs (https://swimoc.com/aquatics-jobs) can be either full-time or part-time, year round or summer work. “Our ultimate goal is always customer satisfaction, but we know if we continue to have love for what we do, attention to how we do it, and a staff who feels supported and empowered, our customers will always be happy.” – Dan Berzansky, Owner and President. About the Company: Premier Aquatic Services aspires to be an industry innovator and premier service provider, inspiring agents of change in the field of aquatics, health and safety, and lifeguard services. We provide a loving and inviting atmosphere, where we are the conduit for lifelong learning, respect, and safer fun in and around the water. Our sustainable profit will allow us to be the community leader in mental and physical growth of our clients and team members. In addition, we are the definition of excellence with leadership development of our team, equipping them with the tools for success and financial stability, which will allow them to become change agents within our organization, or wherever their path may lead them. Swimming can provide lifelong enjoyment and increase an individual’s safety around the water. It’s never too late to learn to swim, nor is there really an age that is too young to be exposed to the water. Parent & Me style swim lessons are available for babies as young as three months old. When choosing a swim school, it’s important to find a professional program that fits with your needs, supports productive learning, and promotes safety. After all, a good experience in the water prepares you and your children for a lifetime of fun in the water, while a negative one can result in fears and insecurities that are unnecessary. Here are the most important areas to research while looking for your swim program. Professional swim programs will have clearly defined objectives, schedules, and pricing structures, so that clients can make the best decisions for their unique needs. These programs should have progressive class structures, and they should have the ability to accommodate people of all ages and abilities. Swim instructors should be certified by a nationally recognized organization, such as the American Red Cross, on water safety and the best techniques for teaching swim skills. Before enrolling in a swim school, talk with the organization about their swim instructors’ certifications and the school’s swim instructor training programs. Group classes should be based upon objective skill levels, meaning each group should have participants with similar abilities. When researching a swim school, discuss the criteria for determining class placement. Just as group classes should have progressive assignments, they should also have reasonable class sizes. For safety’s sake, always ask about the student-to-instructor ratio for group and semi-private lessons before enrolling your children in group classes. Not every student has the same needs, and often times those needs will change and progress over time. Find a swim schools that has a variety of class structures, such as individual lessons, semi-private lessons, and group classes. That way, you have the option of taking individual lessons to work on a specific skill outside of your group class if you need to. Safety should be a primary concern for a high-quality swim school. This means that certified lifeguards should be on duty whenever students are in the pool, staff should be trained in first aid and CPR, and rules should be enforced that promote safety around the pool. Premier Aquatic Services is a comprehensive aquatics service company specializing in professional aquatics programming, lifeguarding, and CPR/AED and First Aid training. We pride ourselves on our ability to address each of our clients’ needs, while promoting water safety throughout our community. Ready to enroll in swim lessons? Register for classes on our website. At Premier Aquatic Services, we take safety seriously. That’s why we developed a unique swim instructor training program designed to take our swim instructors’ skills to the next level. Our swim instructor development program has five levels of training, and each stage takes place with a master instructor. In Level 1 training, prospective instructors spend 30 hours working on their basic skills. Our program leverages coursework, homework, videos, tests, and hands-on lessons in the pool to give each prospective instructor a well-rounded education. This program is designed to prepare instructors for teaching Level 1 (Jellyfish) through Level 4 (Guppy) Group LTS classes. Upon graduation from Level 1, new instructors co-teach classes until the senior instructors feel the junior instructor has developed his or her skills and can be promoted to teaching on his or her own. These advanced certifications each require an additional 20-30 hours of coursework in the classroom and the pool. Since our inception, we have been dedicated to building a team that our community can trust. After all, our clientele regularly entrusts us with their family’s safety and wellbeing – something we take very seriously. Are you ready to enroll your family in swim classes? With a range of classes from “Baby and Me” to “Group Learn to Swim”, we offer swim classes for children and adults of all ages and experience levels. Explore our swim programs on our website. As parents enroll their children in swim lessons, it’s natural for them to have questions. One of the common questions we hear is “how long will it take for my child to learn how to swim?” While a simple answer would be welcomed, it simply couldn’t be accurate. Just like learning to read, children learn new skills at their own pace. There are many factors that can lead to a longer learning period, such as overcoming fears or a shorter attention span. What is essential is that parents encourage children to continue to set reasonable goals and foster a fun learning environment. Here is a breakdown of the seven general factors that play into a child’s learning pace. Chronological Age – In the most general assessments, children of a similar chronological age often have achieved similar milestones in their development. However, that does not mean that they have the same skills. Especially when a child is learning a detailed skill, such as swimming, many other factors play into their actual abilities. Motor Skill Development – At the base level, some people are more coordinated than others, and that will always be the case. If you were to dive deeper into the discussion, some children’s motor skills simply take longer to develop than others; it doesn’t mean they won’t be fully coordinated adults. If you feel as though your child’s motor skill development is far behind schedule, it may be best to consult your pediatrician. Emotional Development – Learning to swim is a full person experience. 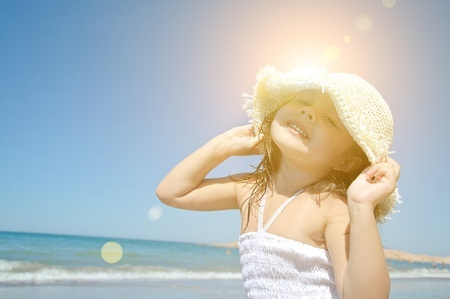 A child’s emotional development can launch them towards success or hold them back. It is normal for children to be nervous or fearful when learning to swim. 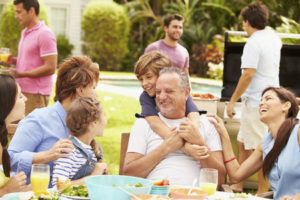 It is also an opportunity for parents to help their child overcome the anxiety of learning a new skill and bolster his or her emotional development. Cognitive Development – While many adults see swimming as a single task, learning to swim requires the ability to take very specific instructions, interpret them, and put them together into movements. It’s very complicated, especially for young children. However, swim lessons can actually help your child’s cognitive development. 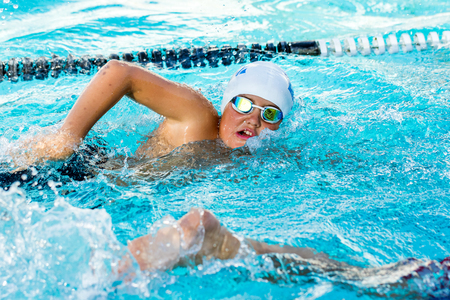 Physical Development – In addition to cognitive skills, learning to swim also requires strength and coordination. As children grow, their bodies become stronger, and they learn how to better control their movement. Exposing children to activities, such as swim lessons, can help enhance their physical development. Practice Time with A Well-Trained Instructor – Well-trained instructors know how to work with children and progressively build upon skills in a structured setting. The more time a child has with a well-trained instructor, the more likely he or she is to learn at a faster pace. 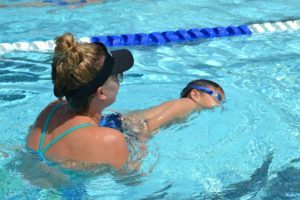 While learning with parents and older siblings can be effective, it doesn’t necessarily have the same efficiency as learning in a structured swim program. Unstructured Swim Time – While structured swim lessons will help a child learn at a faster pace, unstructured swim time is just as important for the learning process. Children need to have time to experiment with their new skills and the movement of their bodies on their own. Play is an essential part of learning to swim. Premier Aquatic Services swim instructors use an exciting approach to help swimmers of all ages learn the skills necessary for a lifetime of swimming enjoyment. 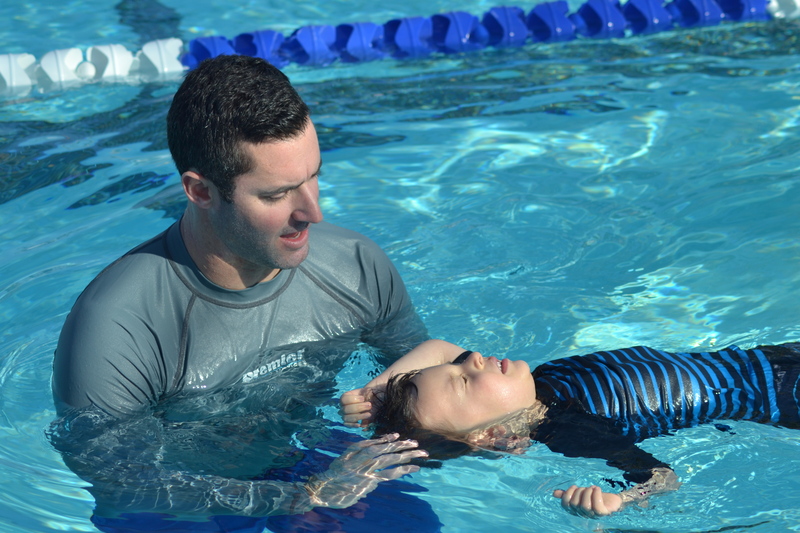 Our certified swim instructors are experienced with teaching all levels, and they are able to help parents differentiate between a child’s normal progression and signs of developmental issues that should be watched. To learn more about our swim lesson programs and register family for summer swim classes, visit our aquatic services page.